Toss: MCC won the toss and elected to field. MCC opted to field first after the game was reduced to 28-overs-per-side after a delayed start. With Chethan unavailable and Venu out with bad health, it was understandable that MCC invested on their batting in this game. The thin bowling of MCC though would be shown-up straight away as Varun, taking over from Kranth as captain, took Suman for 17 runs in the first over. Poorn lines and wides continued to be the scourge of MCC bowling through the innings. Varun, though, was in his elements very early and punished some poor early bowling by MCC. Though Guna accounted for Naveen in his first over, the usually tiday Guna was also seen rusty struggling to find a consistent length. Varun had been joined in by Aussain and the pair painted a picture of contrasting batting: Varun with his skip outside the crease to every ball with a high-winding back-lift to go after the bowling and Aussain with his measured balancing self at the crease looking to play each ball on its merits. 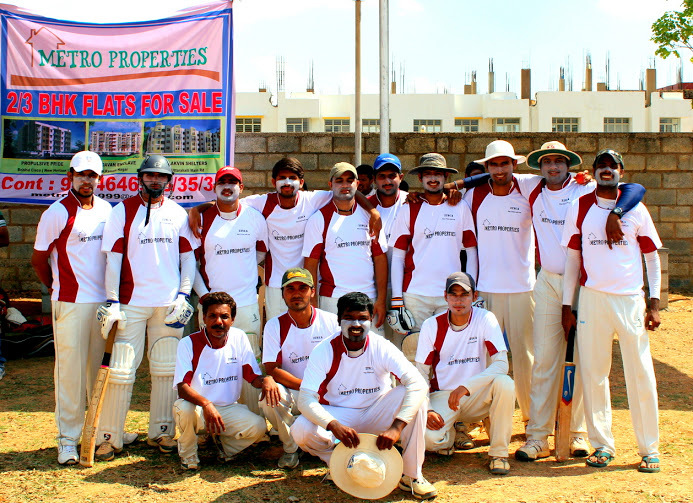 Varun’s opening burst had ensured that IIPM capitalized on the field restrictions in the first 6 overs by raving to 55. With the field spread and only the left-arm spin of Vijay looking threatening the pair resorted to percentage cricket by hitting the holes in the outfield for singles and milked MCC’s bowling with ease. 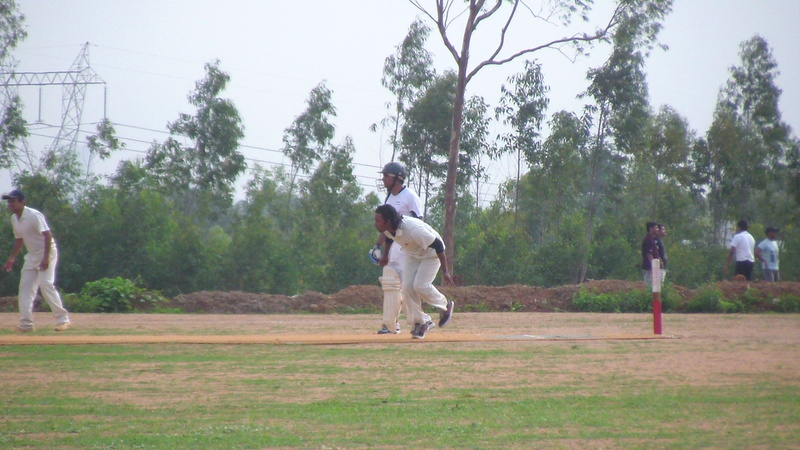 Varun fell 5 short of his 50 when he tried to loft Yeshwanth out of the ground. 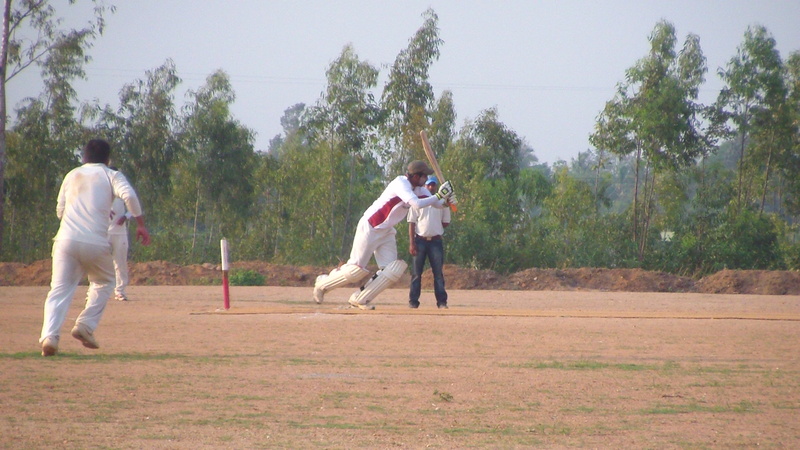 He had provided a tremendous base for his team by then as his team was closing in on a hundred in just over 10 overs. 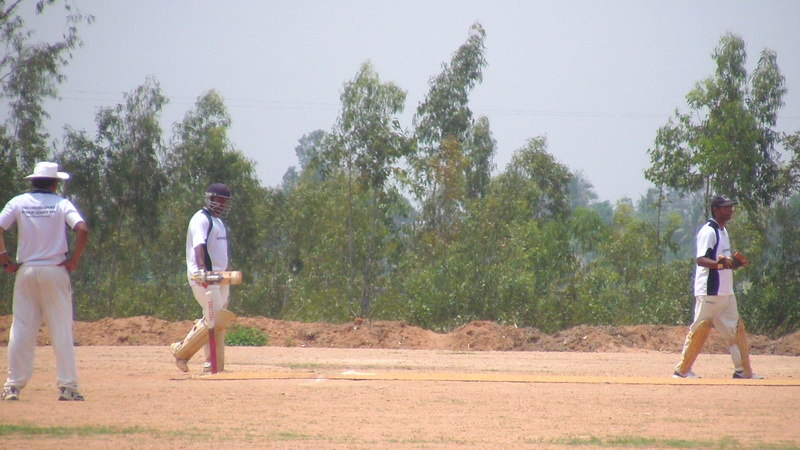 His exit was followed by 5 minutes of chaotic batting by the new man Manju. He struggled to put bat to ball as Vijay had him in knotts with his subtle varions in loop and spin with his accurate left-arm spin. Soon, a diving Prasad at point had him and Aussain in panic with Manju being eventually run out. 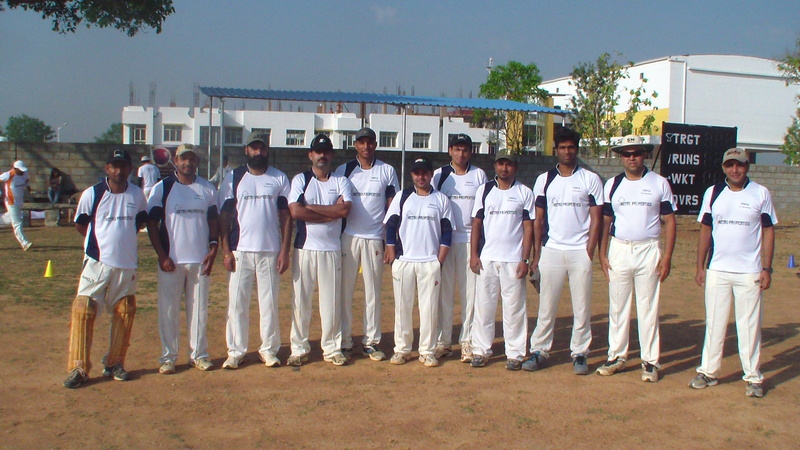 Ravi joined Aussain in the middle and the pair put on a good show of very skillful batting in the middle overs. 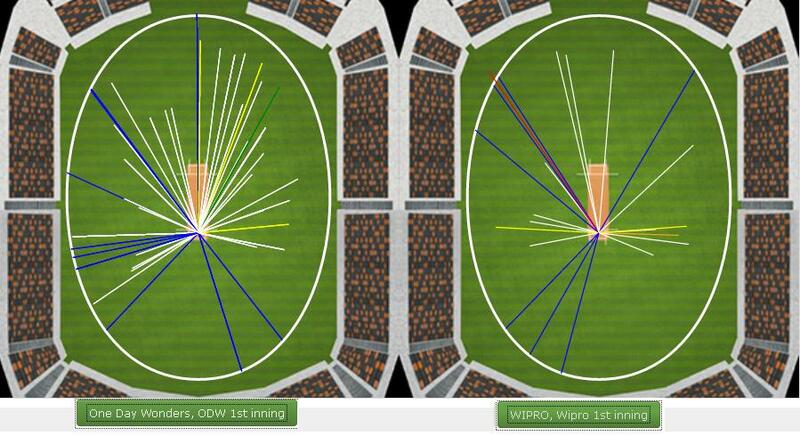 Ravi, with his driving, and Aussain with his great ability to manoeuvre deliveries into gaps with his hands. 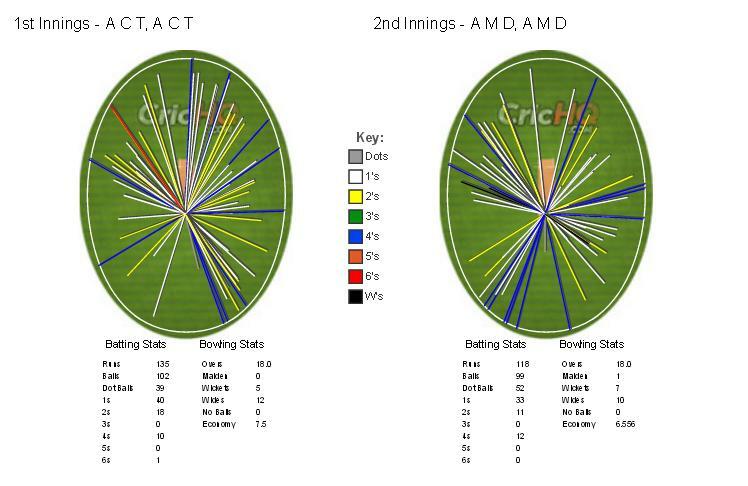 The pair was very aggressive between the wickets. The pair had little trouble against the medium-pace or the spin of Vijay and Sunil as the cut, pulled, swept and drove with great confidence and timing. The pair put on 41 in a mere 31 balls before Ravi was out. Aussain then controlled the innings beautifully by stepping up the temp in the last third of his innings. Having played second fiddle to Varun first and then to Ravi, he then turned aggressor with some powerful strokes of his own. His energy never waned as he ran hard and put pressure on the infielders of MCC often extractiong overthrows from them. He would put pressure on the outfielders too with his speed between the wickets that would result in fumbles and extra runs. 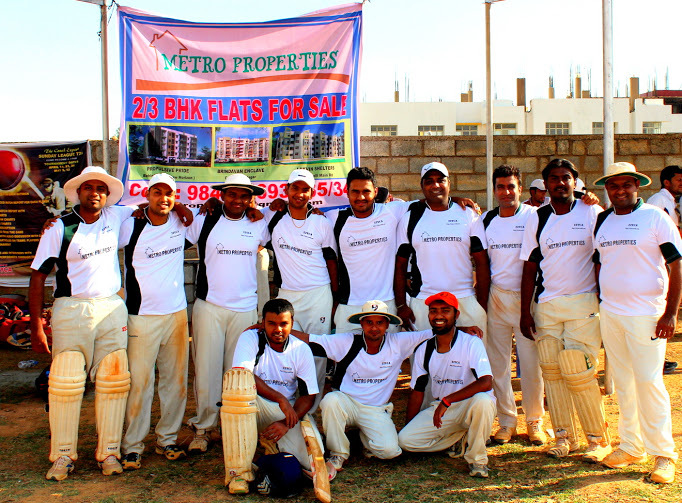 Over 50 runs came in the back 6 overs as he and the wicket-keeper Govid plundered the MCC bowling. 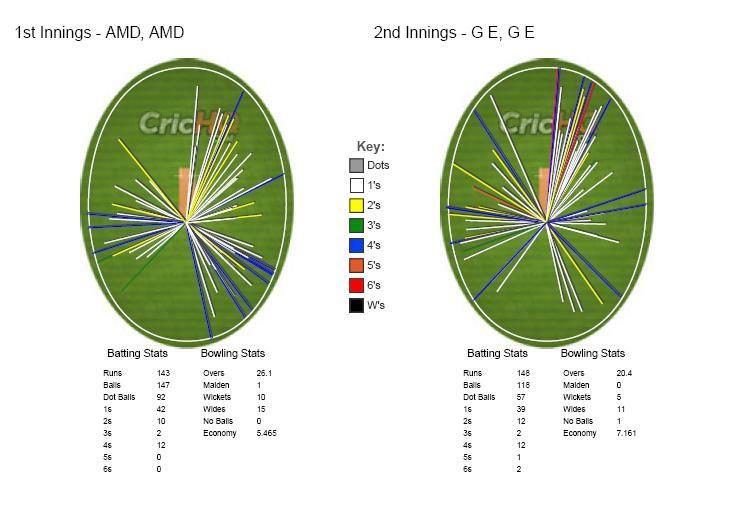 Govind was cheeky with his strokes while Aussain looked increasingly good as the innings progressed. That they managed to score 207 in the end was largely due to Aussain’s pacing of his innings. Chasing at close to 7 an over meant that MCC had to get to a good start. With their regular 30-overs opener, Venu out with a injury, the onus was on Guna to anchor the chase. 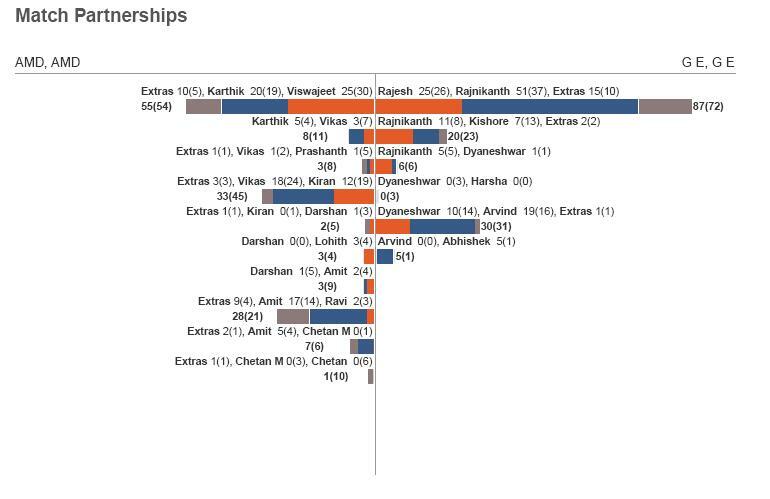 Srikanth though had the better of Guna as he bounced him out. 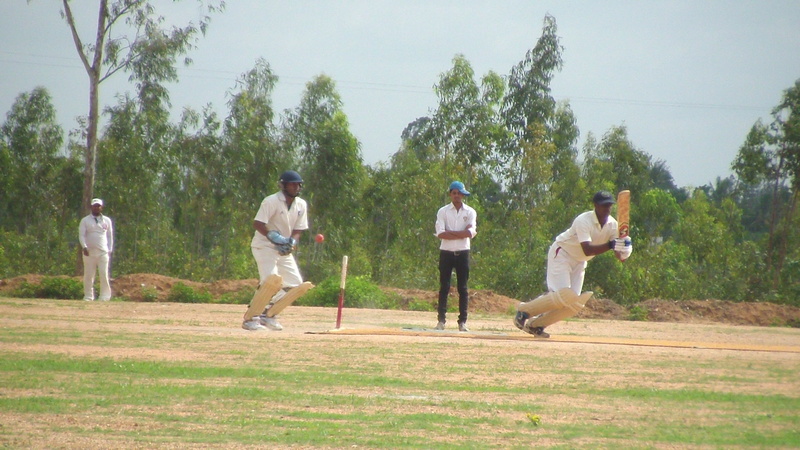 Syed was adjudged LBW soon after and Naveen tried his best to steady the innings along with Bhargav. 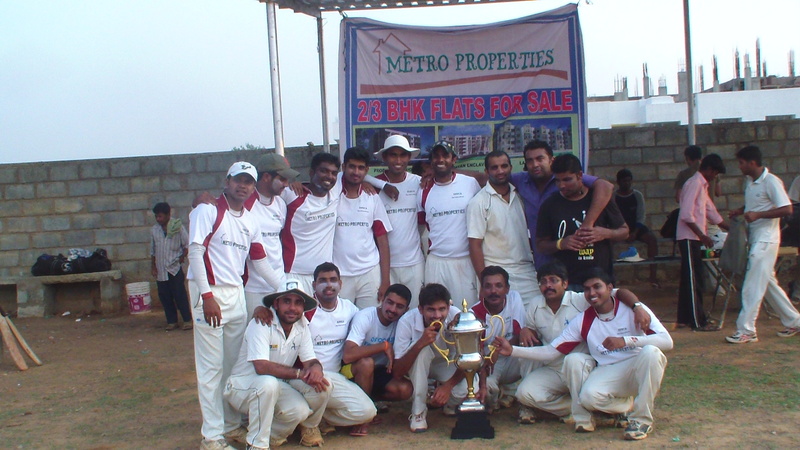 Kranthi and Srikanth though ensured that there would be no easy runs as MCC struggled to break free. The required-run rate went north of 10 with more than half the overs remaining and even with stroke-makers like Shankar and Prasad still to come, it was obvious that they had left the charge a little too late. 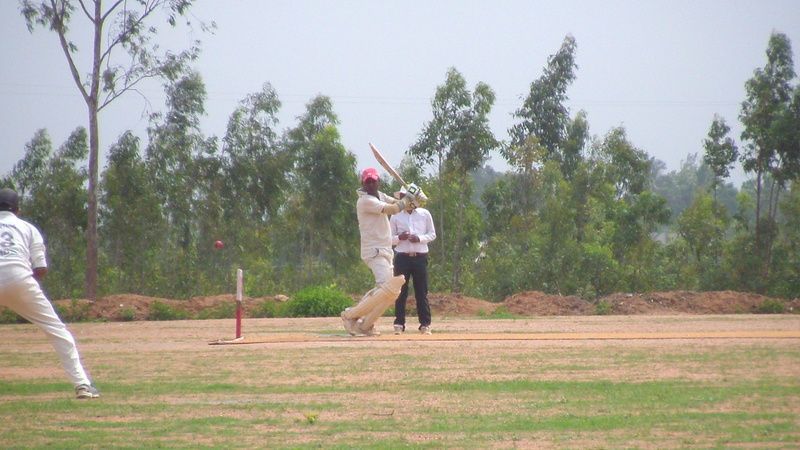 Bhargav, though, played a mature hand rotating the stike and going at run-a-ball for most part. 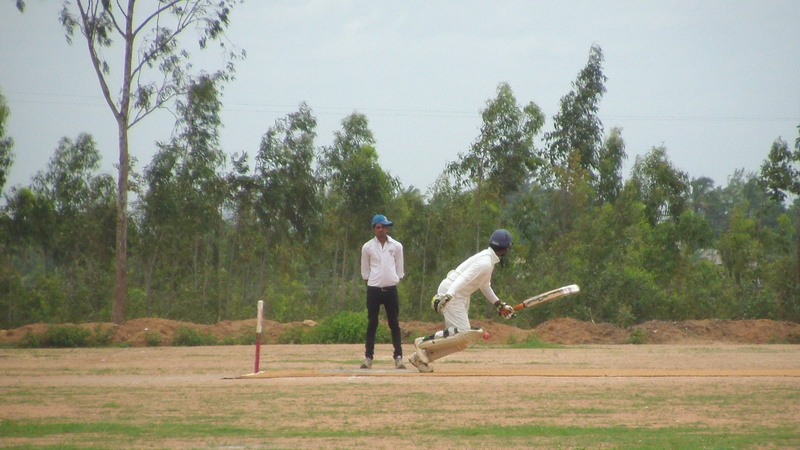 But Naveen’s inability to find boundaries hurt their chances and with Shankar providing the much needed impetus on his arrival in the 15th over, it allowed Bhargav to break-free as he looked to take more chances. The quick wickets of Shankar and Prasad back-to-back meant that there would be no miracles to expect and the last overs were played out with Varun trying out all his bowlers ahead of the next game and MCC played out the overs in trying to reduce the margin of defeat so as to not fall back a lot in the net run-rate. For his brilliant batting and a catch and a wicket, Aussain was declared the Performer of the Match.